When you undergo depression, even the things you loved doesn’t make you feel good. What about food? Is it the same feeling for food? Oh, yes! It, absolutely, is! You don’t feel like eating anything but what if someone places in front a cheese or butter-filled rich food that you actually thought was unhealthy? Most of the times you cannot keep yourself away from such food. Isn’t it? 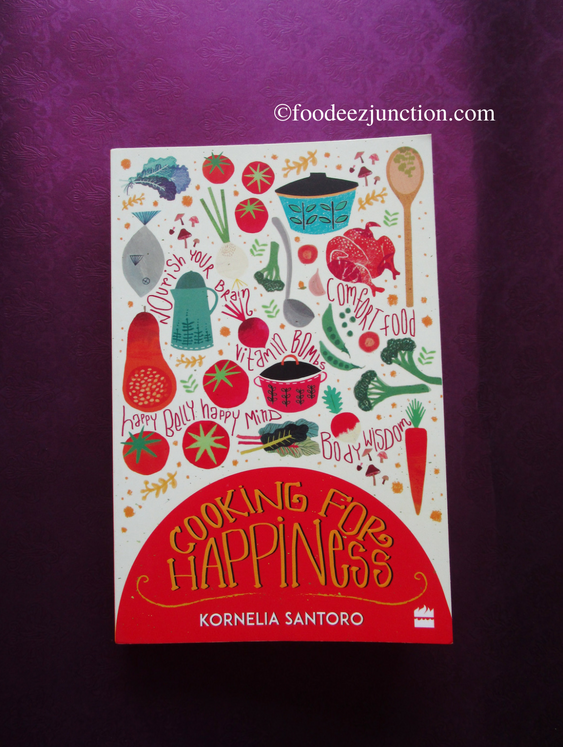 Cookbook Cooking for Happiness by Kornelia Santoro talks about her personal experience on how she went through the phases of depression and how she would feel then and binge to escape the sadness. Binging isn’t important, the significant part in the cookbook is how she overcame this low and dreadful feeling with the help of food! Yes, FOOD! 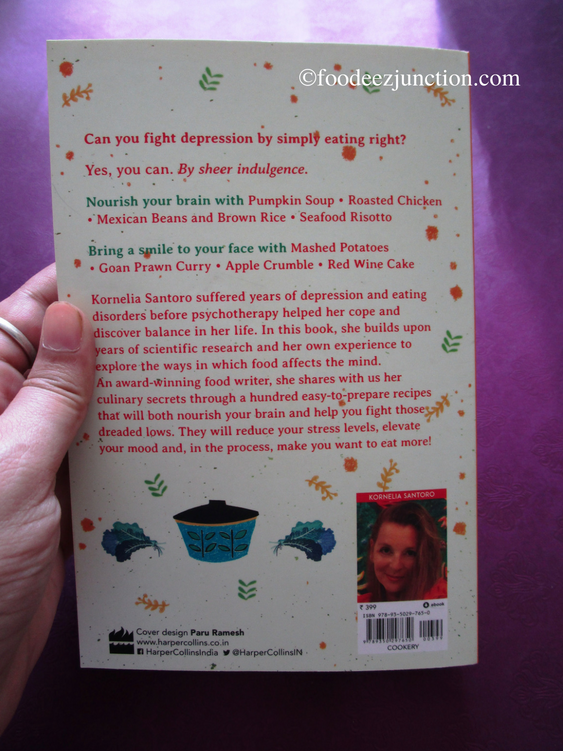 Kornelia, in her book, discusses on how food can help overcome the nightmares like depression. The cookbook is full of scientific reasons and the connection between science and food with amazing facts; sometimes these facts will leave you in awe. 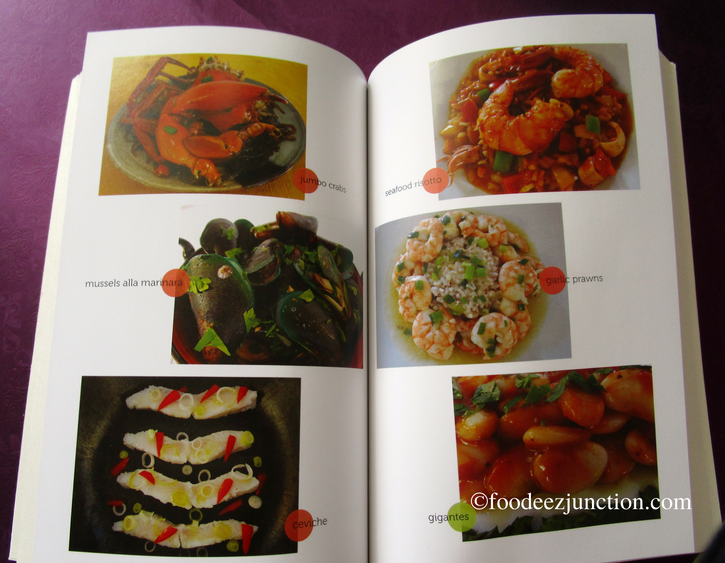 There’s so much to read and cook in this cookbook. Even if you are not into reading, the amazing facts like what kind of yeast you should have on your kitchen shelf, what are the vitamins, minerals and protein-rich foods you must include and then the recipes from these suggestion are just perfect to stop you from eating unhealthy food endlessly. Cooking for Happiness has the food stories you can relate to if you have undergone depression at any point of time. The cookbook is divided into three parts Nourish Your Brain, Comfort Food and Stress-Free Dinner Parties. When I say nourish your brain you might think that I’m going to talk about the boring set of healthy recipes. No! Well, healthy recipes are far more interesting these days and Kornelia has well put them in her cookbook. Nourish your brain, the first part, has recipes of Carrot cake, Indianised Fasolada, Tabbouleh, Apple Pie and Tuna Pate among others. In the second part which is the Comfort Food zone, Kornelia tells how denying your favourite food affects your mind. What Kornelia mentioned as the difference between Comfort Food and Junk Food surprised me. From the recipe of Lasagna to Pizza, you can find all in this section. It’s very well mentioned in the Contents section of the book. The third and my favorite part is Stress-free Dinner Parties. The author has beautifully mentioned on how to prepare for a big dinner party along with cuisines, recipe, shopping list, how and when to serve them. I loved the texture of mashed potato; it turned out to be perfect. The creamy texture with the flavor of nutmeg is just a right thing to have when you want something different. If you follow the recipe step by step without changing the quantity of the ingredients, your wheat-crust pizza will be crunchy and a healthy option. I’d made this pizza at home this weekend and it was a hit. It turned out to be perfectly crunchy. Important thing is not to miss on any of the steps mentioned in the recipe. And, certainly, you get to know the importance of ingredients used in pizzas. As I flipped the pages of this cookbook, I could find very less recipes for vegetarians. Though I’m not a vegetarian but I’m allergic to eggs. Most of the recipes mentioned in Cooking for Happiness have egg as ingredient. I wished there was a substitute mentioned in the recipe and, also, wished there were more pictures of the recipes. Overall, I loved this cookbook as it certainly has those amazing scientific facts, and an additional discussion on the main ingredient after each recipe makes it more interesting cookbook to read. Bring smile to your face with Cooking for Happiness, which is more than just a cookbook. The views expressed in this cookbook review are personal views. 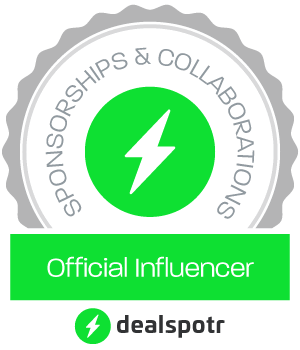 This was not a sponsored review. However, the FJ team received this book from Harper Collins for testing and review purposes. thank you very much for your lovely review. HarperCollins decided to limit the number of pictures in the book to keep the price low. As for egg substitutes: My second cookbook deals with Cooking for Allergies and I included in it a chapter that describes in detail how to substitute eggs. There are few ingredients in the kitchen which serve as many purposes as eggs. Numerous dishes feature eggs as the main element. Eggs are added to batters, cakes, puddings, ice creams and stuffing, just to name a few. Basically, eggs serve two main purposes: they act as a binder, a kind of natural glue, thickener and emulsifier; and they can lighten, add volume and make mixtures rise. Of these two functions, the second one can be replaced more easily than the first one. You can use baking powder, baking soda and yeast to give volume and lighten dough. Although it is more difficult to replace the binding function of eggs, it is possible in most cases. Of course you cannot make a meringue, omelette or mayonnaise without eggs. But there are ways how to make many recipes work without eggs. There is no solu¬tion, however, which fits all. For example, it is impossible to make a cake which is gluten and egg free. You can make an egg-free cake, but it needs the binding power of gluten to work and vice versa. When you want to replace eggs in any recipe, you first have to identify what the egg is doing in the recipe. Then you can check the following list for a possible solution. Don’t be afraid to experiment. If you think something might work, go ahead and try it. The kitchen can be a very creative place, even if you have never thought of cooking before. All you need is a stove, kitchen utensils and ingredients – and a sense of purpose and adventure. ➢ Apple sauce: 50 ml apple sauce and half a tablespoon baking powder can replace one egg in sponge cakes, fruit cakes and muffins. Add the baking powder to the flour be¬fore mixing it with the moist ingredients. Moisture activates baking powder, so the dough has to go immediately into the oven when all the ingredients are combined. ➢ Apricot puree: 50 ml apricot puree and half a tablespoon baking powder can also re¬place one egg in sponge cakes, fruit cakes and muffins. It adds a nice yellow colour to the dough. Follow the directions for apple sauce when using apricot puree. ➢ Mashed banana: One small mashed banana or half a big banana can replace an egg in light cakes and muffins. Banana strongly affects the taste, so it is not suitable for every cake. ➢ Arrowroot powder: One tablespoon arrowroot powder, half a tablespoon baking powder and one tablespoon water can replace an egg in sponge cakes, fruit cakes and muffins. Arrowroot does not add any flavour, but it can leave a dry taste in the mouth. ➢ Tapioca flour and arrowroot flour: Pancakes can be made with a blend of plain wheat flour, tapioca and arrowroot flour. ➢ Ground flaxseeds: Finely grind one tablespoon whole flaxseeds in a blender or cof¬fee grinder, or use two tablespoons pre-ground flaxseeds. Transfer to a bowl and beat in three tablespoons water until the mix turns gelatinous. This amount substitutes one egg. Flaxseeds work well in whole-grain items such as muffins and cookies. ➢ Corn flour and sparkling water or beer: Mix the ingredients well to get a light batter for deep frying. ➢ Breadcrumbs: One tablespoon fine breadcrumbs can replace one egg in stuffing. ➢ Mashed potato: Mashed potato can be used in fish cakes for binding. Roll the cakes in flour or bread crumbs before frying to avoid their breaking in the pan. First of all Congratulations on the book! I very much loved how you have mentioned the importance of the main ingredients after each recipe.